Very conveniently located, just a short scenic cable car ride from chinatown, fisherman's wharf and the alcatraz ferry, the westin san francisco market street is a sophisticated oasis in the heart of san francisco's south of market district surrounded by the city's premier shopping, dining, and attractions. 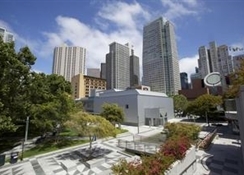 Guests will enjoy browsing the shops and boutiques of nearby union square and the brand-new westfield san francisco centre, immersing themselves in an array of museums and theaters only minutes from the hotel. The restaurant will be perfect for lunch or dinner. It exudes the restless magic of venice and the relaxed elegance of northern california. The tone is set by two twelve foot glowing transparent glass panels replicating italian oil canvases of a duce and his wife that separate the bar from the dining area. 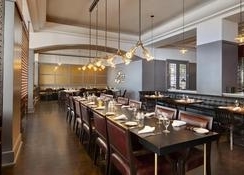 By day, it is an airy space with casual seating which spills into the al fresco dining terrace. 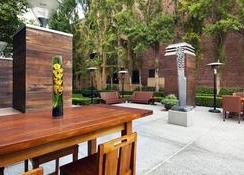 As night falls, the al fresco terrace becomes a large outdoor lounge with communal tables, lounge seating and fire pits. As for the rooms, each of the 676 affords sweeping downtown views while offering a refreshing retreat from the city's hurried pace. All are very tastefully decorated, a union of stylish decor and cosmopolitan appointments, offering all the modern facilities, satellite tv, in-room movies, air conditioning, safe, coffee maker and the famous "Heavenly bed". 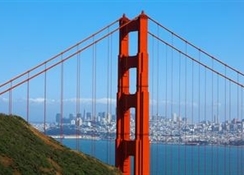 Beautifully renovated four diamond luxury hotel situated in the vibrant South of Market district, surrounded by San Francisco's premier attractions. 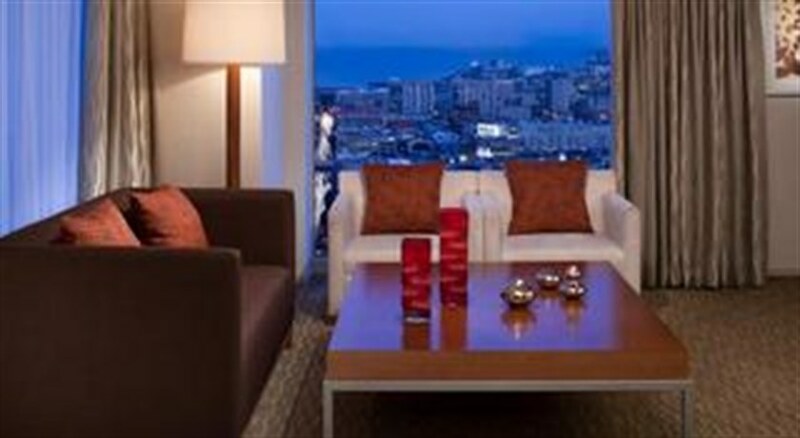 Hotel accommodations include 676 spacious guestrooms and suites with floor to ceiling windows overlooking the city skyline. All guestrooms feature the Westin Heavenly Bed and Heavenly Bath, and 37-inch flat screen television. 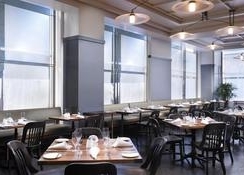 Ducca Restaurant features Northern Italian cuisine and serves breakfast, lunch and dinner. Ducca Lounge creates an inviting atmosphere for sipping cocktails and sampling light fare. Complimentary Westin Workout fitness center. Hotel features 23,000 sq. 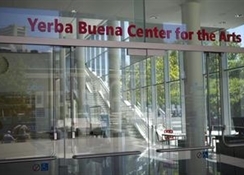 ft. flexible meeting space and is located 1 block from Moscone Convention Center.